The engine is a double-acting, condensing, rotative beam engine with parallel motion linkage. The maker is unknown but the name “Thomas Piggott, Birmingham” appears both on the boiler front and the boiler feed valves. 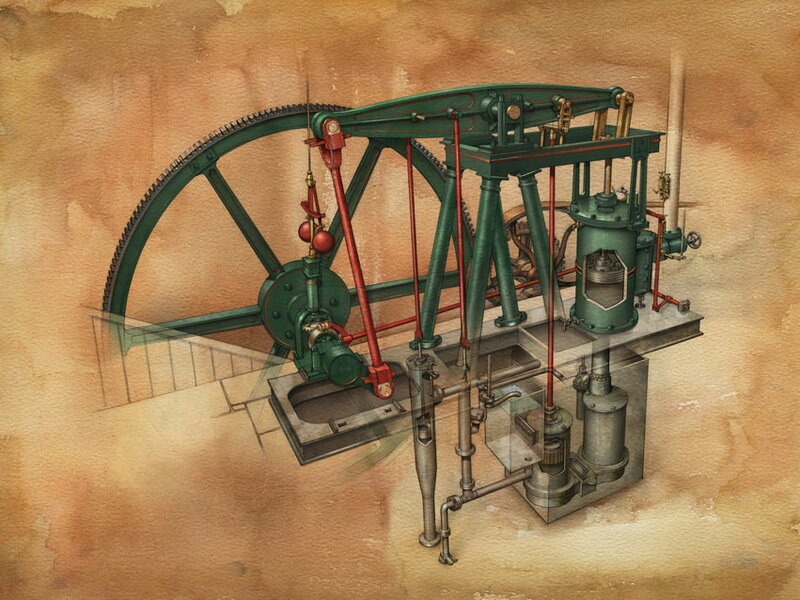 The name “beam engine” refers to the fact that the power of the engine is transmitted via a massive beam which rocks to and fro, in this case overhead. 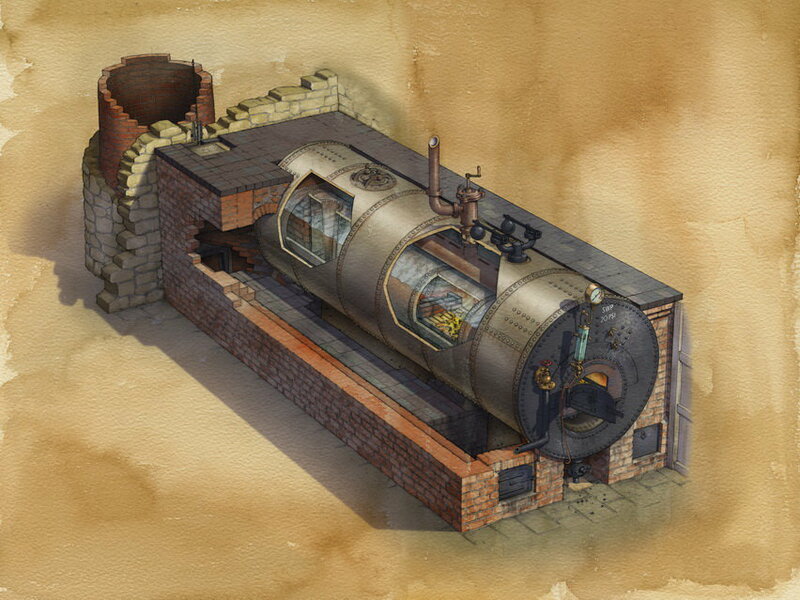 The 1852 beam engine and the associated Cornish boiler are housed in the one room so enabling one person to run the engine. In a condensing engine, when one side of the main piston is connected to the steam supply, the opposite side is connected to the condenser, which draws out the steam from the previous stroke. Condensation of the steam creates a partial vacuum in the condenser and thereby increases the force exerted on the piston and improves the efficiency of the engine.